All that glitters is not gold. (There’s silver, too). 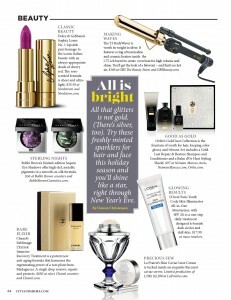 Try these freshly minted sparklers for hair and face this holiday season and you’ll shine like a star, right through New Year’s Eve.